Motorola Nexus 6 - Blue - Rooted - Near mint - Incl Cases and Screen Protectors. Item Description: Motorola Nexus 6 - Blue - Rooted - Running Nitrogen OS now, but any N6 ROM will work. Condition: Near mint. In a case since minute one. 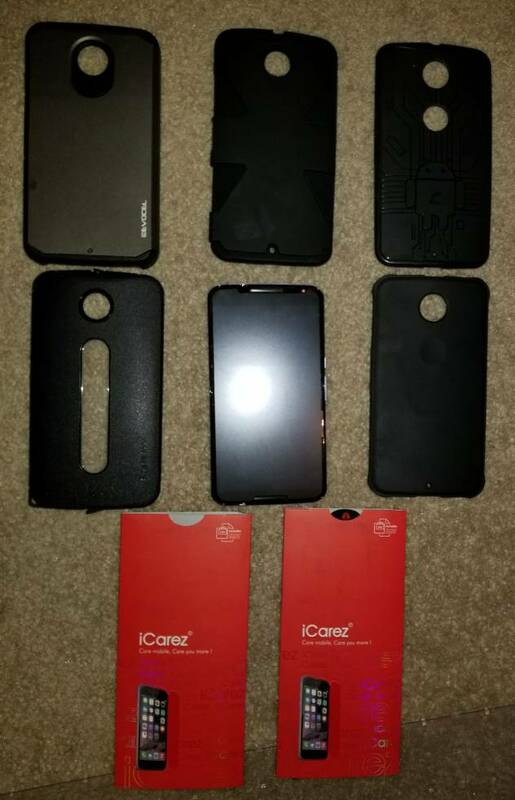 Includes: Device, Five (5) cases, extra screen protectors. No charger, but those are easy to find and inexpensive. Shipping Details: Ships USPS w/tracking. Payment Options: PayPal - friends and family. What is the storage size? It is the 32 GB model. I am open to lower offers. Was this carrier unlocked or factory unlocked? I was looking for an AT&T one this week after putting my Moto Z play up for sale. I unlocked/rooted it myself. It will work with any carrier's SIM card installed. I am a open to a little wiggle on the price if you are interested. Send me a PM for that or any other questions you may have. Can I rescue my dead/comatose Nexus 6P?? ?